Guy Forget has written some of the most glorious pages in the annals of French tennis. Representing France, he’s won three Davis Cups, two as a player and one as captain. In February he completed his first year as the tournament director of the French Open, whose 116th edition takes place from May 28th to June 11th. In his view, leadership on the court and in the boardroom are not that far removed. Leaders League.Coaches and company directors alike face moments of doubt. How to overcome them? 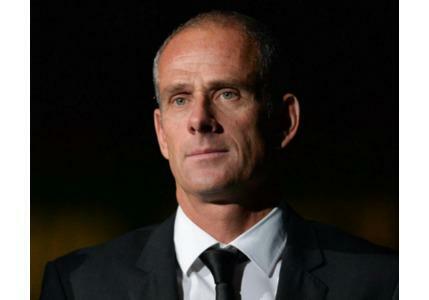 Guy Forget. It’s become the convention to say that the difference between success and failure is having tried again one more time. I’d have to go along with that. A director of a company, or a sportsperson must have the capacity to learn from their mistakes and come back stronger. One of the keys to achieving this is to set clear objectives and surround yourself with people who can help you to succeed. Take a tennis player for example. His career is short. It’s vital for him not to have too many outside interests and to optimize his preparation time. What’s more, tennis is a mentally demanding sport. Players travel all over the world to take part in tournaments. Long journeys away from family and friends are the norm. It’s difficult to keep an even keel in these circumstances. Hence the need for a player to have a solid support staff. How to build togetherness during Davis Cup matches? It’s easy when the members of the team have bonds of friendship. This gives a greater degree of selflessness. But it has to be said that this is rarely the case. A good group dynamic is in part down to the effort a captain puts into communication. He has to ensure that the players put the interests of the team above their own. It’s also down to the captain to set the ground rules and ensure that no preferential treatment will be given. When results are good this task is quite simple to carry out. It’s when the opponents are on top that the pressure builds and players start to get nervy. It’s at this moment that the captain has to ensure that the rules are perfectly adhered to. How to both listen and be heard? The question of a leader’s legitimacy is important. A coach or a company director whose experience is recognized by their players or staff can more easily point the way and lead the members of a group. A leader also has a duty to set a good example for the group. There is no one way to exchange and communicate with players and staff. A leader has to figure out what makes his people tick in order to create a harmonious group. What are your ambitions for the French Open? How do you assess the competition from other tournaments? The world is made for competition. A champion like Novak Djokovic came up through the ranks in the shadow of Rafael Nadal and Roger Federer. This competition allowed him to become the player he is today. This desire for excellence is identical to ours. The Madrid Open or the three other grand slam tournaments push us to progress. I hope that Roland Garros remains one of the most beautiful tournaments in the world. The French Open is an event that’s welcoming and family friendly and it’s got to stay that way. It must also inspire the youth to one day become grand champions, in the hope that the day will come again when a French player lifts la Coupe des Mousquetaires. Summary Dentons Aspires to Be Not Only a Law Firm, but a Business Solutions Firm Mercedes Erra: “A leader will sometimes doubt, but always keeps the faith” Najat Vallaud-Belkacem: "A leader needs to forge an intimate conviction that leaves very little room for doubt" Jacques-Antoine Granjon: “A leader must surround himself with more qualified talents than himself” Claude Onesta: “My role is to create the conditions that allow the players perform to their best” Clara Gaymard: “A liberated company puts people at the heart of its ambitions” Anne-Sophie Pic (three Michelin stars chef): “In the kitchen everyone has their part to play” Pope Francis – An Exceptional Leader Bill George: "Just as a calm sea doesn’t make a great sailor, a period of economic stability doesn’t make great leaders"